Please, don’t criticize yourself on eating too much or unhealthy during the holidays. It will just ruin your nice holiday memories. And there are many of us who did it anyway. Instead, focus on cherishing your memories and getting a “soft landing” for post-holidays everyday life. 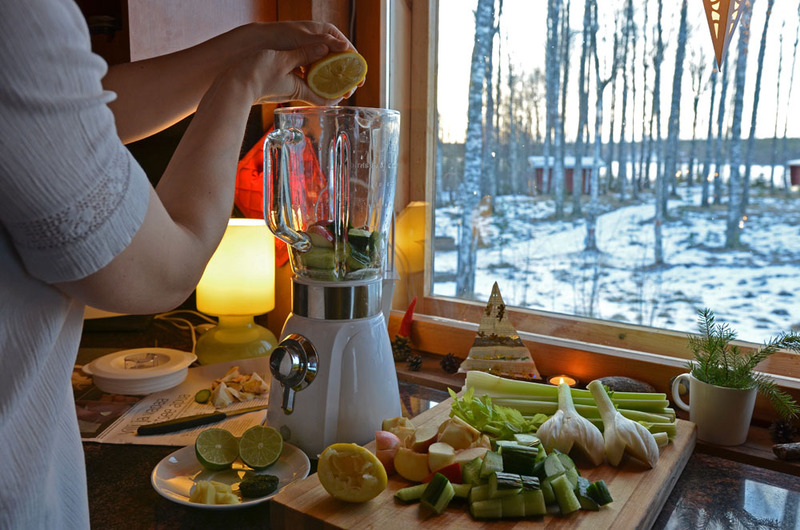 This time of the year here in Finland, a more compassionate attitude towards ourselves is definitely needed as the cold winter weather and short daylight time make us crave for heavy and sugary food. One way to have more compassion for yourself is to balance those cravings with something that’s yummy but still good for your body. 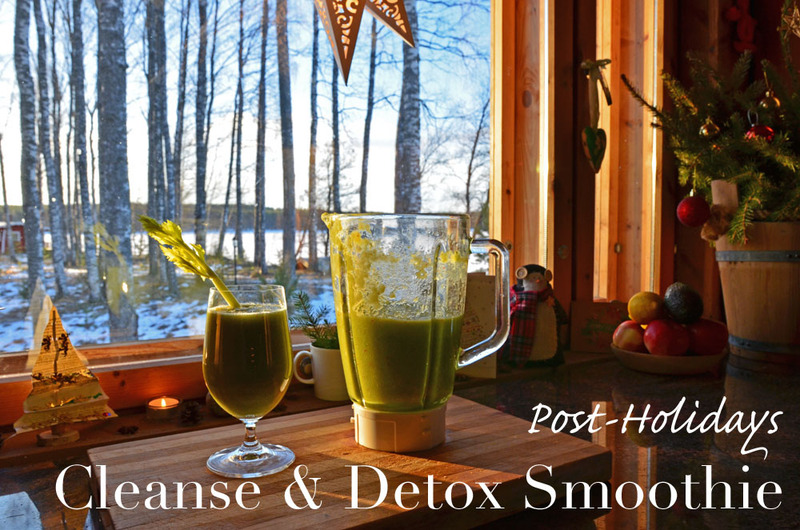 It took me a long time to find a detox smoothie recipe that ACTUALLY TASTES GOOD. For about a year ago I finally found it, and ever since I’ve made that smoothie almost once a month. I love it because it just makes me feel more refreshed and energetic. I’ve made this smoothie also without lime or spinach and it tastes as good. 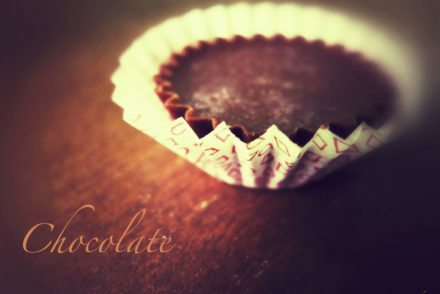 Feel free to try different versions of it! However, don’t leave celery and fennel out. 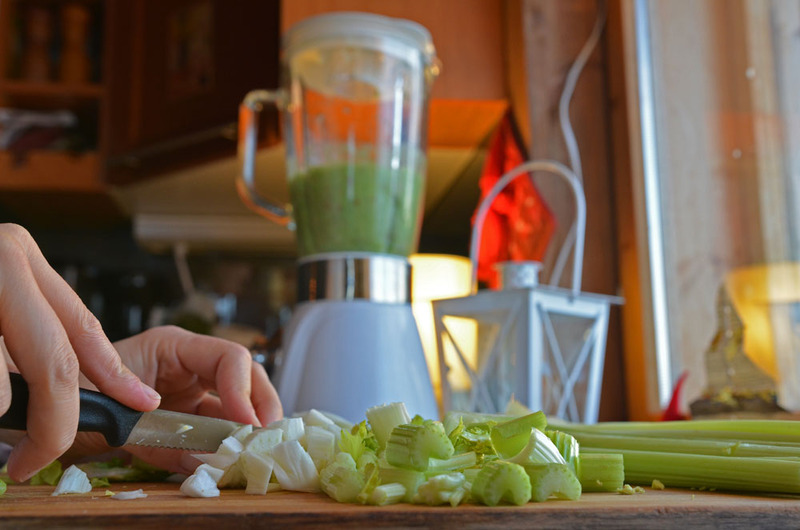 Read more about health benefits of celery here. As for fennel, it’s an aromatic herb with a sweet anise / licorice flavor. Fennel is important because of its cleansing effect, like celery, but also because it fades out the celery flavor (in my opinion). Read more about health benefits of fennel here. But now it’s time to make the blender sing! 1. First, blend the ingredients that include liquid the most: cucumber, apples, lemon & lime juice and spinach. 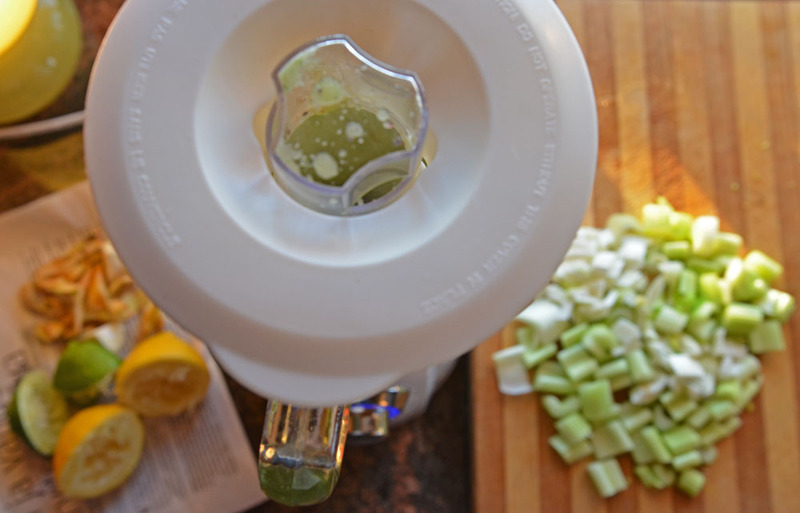 I recommend to do it like this because I almost broke my blender when I started with celery and fennel. 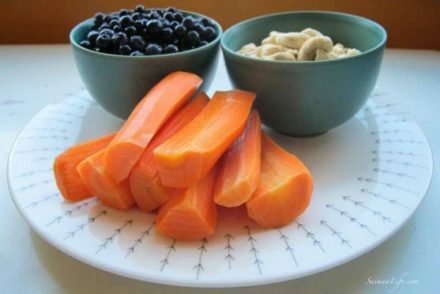 Having a soft smoothie base makes the dryer ingredients blend in better. 2. 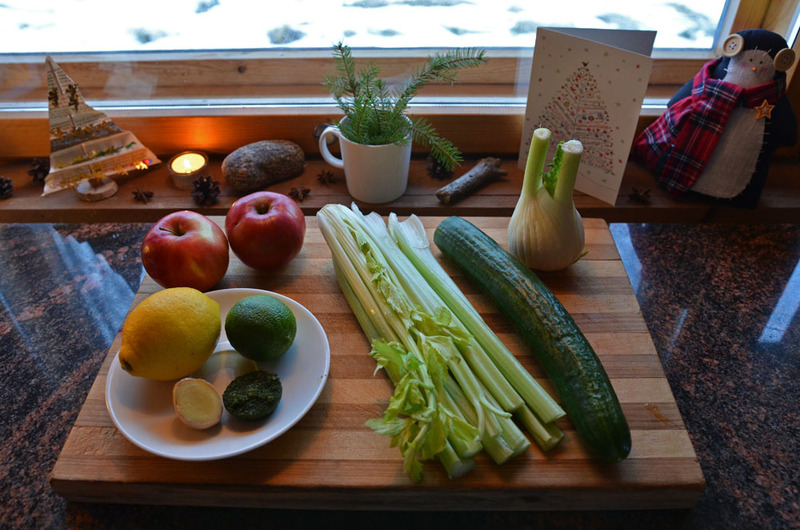 Second, blend in the “harder” ingredients: ginger, fennel and celery. Add them in little by little and blend in between. Believe me, this is the way to extend your blender life time. 3. 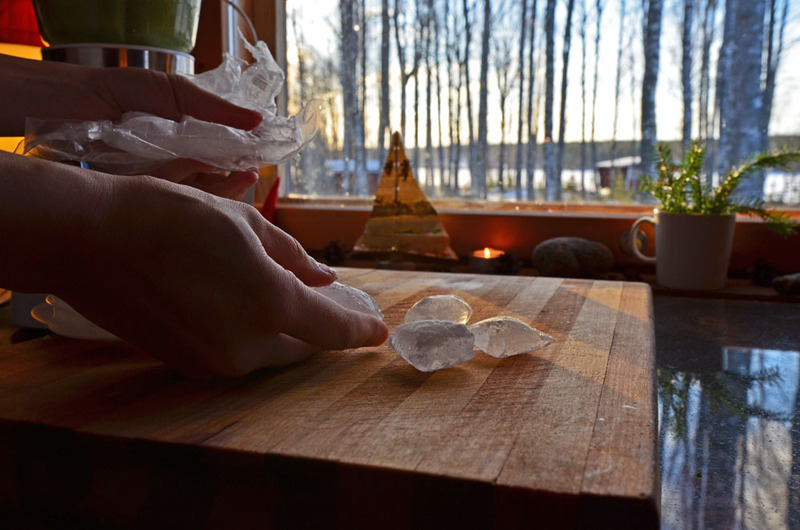 In the end, blend in some ice cubes. Cold smoothie tastes always better than a warm one! 4. Enjoy your jugful of smoothie during a day or two. To avoid getting a headache while your body is cleansing and getting lighter, remember to drink lots of water simultaneously. If you want to give your body & mind some extra detox boost, be like Gwyneth Paltrow and invest in sleeping, too. She speaks for clean sleeping. Besides investing in good food, I’m so IN for the clean sleeping trend this year. Plus, I’m gonna go outdoors and enjoy nature as much as I can because fresh air simply helps with both goals: eating & sleeping better! Here are two more great recipes for post-holidays everyday life: Spicy Vegetable Soup with a Twist of Lemon and Spinach-Fruit Smoothie. They will belong to my diet in January too!